December 16, 2018  NPR's Lulu Garcia-Navarro speaks with CNN's Senior International Correspondent Nick Paton Walsh about the climate deal recently reached at a major conference in Poland. December 16, 2018  NPR's Lulu-Garcia Navarro speaks with researcher Matt Barreto about his study showing that Latino voter turnout nearly doubled from 2014 to 2018. 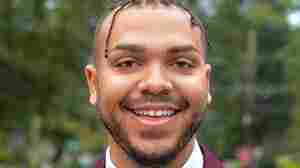 More than a quarter were first-time voters, he says. December 16, 2018  The last issue of the 23-year-old magazine was published this week, and co-founder and contributing editor John Podhoretz says friction between business and editorial teams seems to be one cause. December 16, 2018  NPR's Lulu Garcia-Navarro talks to reporter Jane Ferguson about the situation in Yemen, where a cease-fire in a key port city is off to a shaky start. December 16, 2018  NPR's Lulu Garcia Navarro talks with reporter Alfredo Corchado of the Dallas Morning News about the conditions that migrants trying to enter the U.S. encounter when stuck along the border. 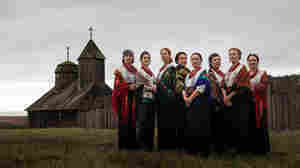 December 16, 2018  For four decades, the Oakland ensemble Kitka has sung intricate harmonies from Eastern Europe. Members Shira Cion and Kelly Atkins talk about the group's new album, Evening Star. December 16, 2018  Two retired workers with Britain's Royal Mail have been exchanging the same Christmas card (by hand) for 43 years, marking most years in it with a little rhyme. December 16, 2018  Something Good, a film that shows the first known on-screen kiss between two black actors — and the last until 1945 — is being added to the National Film Registry. December 16, 2018  Irving Picard, a lawyer leading the liquidation the collapsed investment firm, says lawsuits and forensic accounting have gotten back almost 70 percent of what was feared lost — some $13 billion. 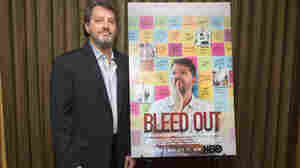 December 16, 2018  Steve Burrows' new HBO documentary, Bleed Out, follows the medical malpractice suit he filed on behalf of his mom, who lapsed into a coma after surgery. December 9, 2018  The moves in Wisconsin and Michigan aren't new. In some ways they reopen the debate that was settled in Marbury vs. Madison. The American Enterprise Institute's Norman Ornstein gives us a lesson.